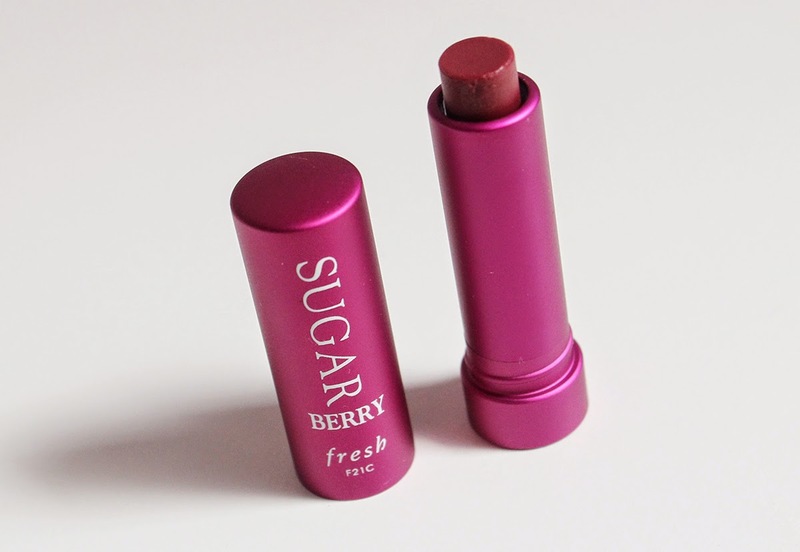 Over two years ago, in my December 2012 Favorites post, I declared my love for the Fresh Sugar Lipbalms. My opinion has not changed on these wonderfully moisturizing lip wonders and I was happy to see this included in the Sephora Give Me More Lip Set last year. Everything from the packaging to the scent to the product itself is everything I want in a lipbalm. No, Fresh is not paying me to say these things (although I wouldn't mind if they did)! Unlike most lipbalms, the Fresh Sugar Lip Treatments are encased in a metal twist tube which is ultra secure yet easy to open. There is an untinted version along with 11 sheer tinted options. Many of you probably have tried these before as Sephora had these for their 2012 Beauty Insider birthday gift. These have a lemony scent which I personally enjoy. The only downside is the price which is $22.50 for .15 ounces. The ones I've had have all been minis which are half of the full size. The Fresh Sugar Lipbalms are sheer yet still noticeable on the lips. As you can see, Berry is a beautiful translucent pink on my lips. The finish is naturally glossy and your lips are enveloped in a soothing layer of softening beeswax, castor oil, jojoba oil and grapeseed oil. I wouldn't describe this balm as thick at all but you can definitely feel it on your lips. It never drags and is very easy to smooth onto the lips. Another added bonus is the SPF 15 which I need for my sensitive lips. Nothing much else to say about this beaute. I think the lip swatch speaks for itself here! I definitely want to purchase more of the shades in the future despite the cost. If I can use these everyday, I can certainly justify the price. Have you tried the Fresh Sugar Lipbalms? Do you love them as much as I do?